Join us as Kent Jackson gives an overview of Bitcoins and the growing cryptocurrency industry. He will define some of the commonly used terms, discuss some of the advantages of Bitcoins and explain the different ways to acquire them. 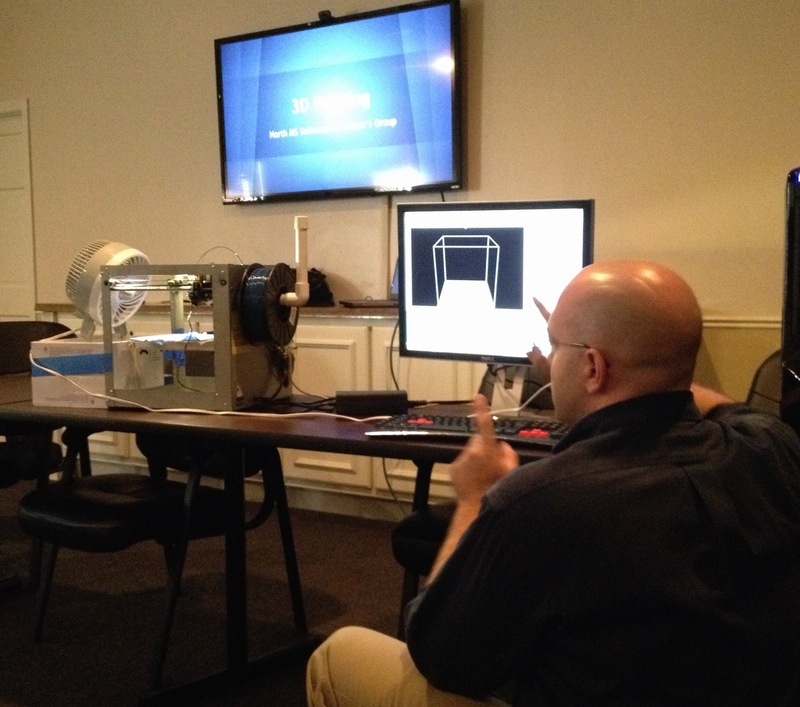 The North Mississippi Software Developer’s Group met this week for an introduction to 3D printing. Zack Watts, Director of Software Development at FNC’s MortgageTrade division, led a talk about the software and hardware used in 3D printing. He even had a 3D printer on hand and printed off three items (a little cup, a cute octopus, and what tech meetup would be complete without a cute Cthulhu miniature?) while discussing the technology, software, file formats, and programming applications used in 3D printing. The technology is really fascinating. The quality at the hobby/consumer level is still a little rustic, but you can see the possibilities down the road and imagine what high-end 3D printers can already do. Zack shared a number of online 3D printing services like Shapeways, which lets users upload custom designs, then fabricates and ships items anywhere. It was a very engaging discussion for all.